Please find below an outline of some of our membership categories. For more information and to download an application form please click on the links on the left. These are the highest category a member of the KF can achieve and both categories not only bring many years of experience, but also bring over 1,200 hrs of training. This category is for Kinesiologists who have completed all the requirements to meet the Kinesiology National Occupational Standards. This includes Foundation and Advanced Kinesiology training, completion of 200 clinic hours, mentoring, additional training in Anatomy and Physiology, Nutrition, Interpersonal Skills and Practice Management. This category is for kinesiologists who have completed KF recognised Foundation and Advanced kinesiology training, but still need to complete the remaining requirements to meet the Kinesiology National Occupational Standards and be qualified to KFRP level. This category is for anyone who has completed the Touch for Health training in Levels 1 to 4 plus TFH Proficiency and has been assessed as proficient. Qualified to teach TFH Levels 1-4 and undergo a regular Instructor update. Further training for qualified TFH Instructors to a total of 230 hrs in TFH. 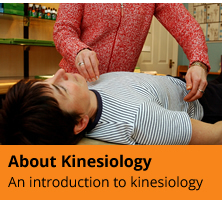 This category is for anyone who has embarked on a KF recognised kinesiology training course (Foundation or Practitioner level). 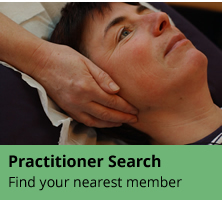 This category is open to anyone who has an interest in kinesiology and would like to keep up to date with us. Retired KF members, kinesiology clients, supporters and members of the public are very welcome to apply for this category. We also welcome applications from Kinesiologists who have trained abroad, or in a branch of Kinesiology that is not currently affiliated with the KF.